Hearty congratulations to Chris, the writer behind Sinda Essen: He’s just won his sixth Writing Challenge! This unprecedented achievement spans several years, including two wins in 2013 alone. His story for this September & October round, “Yesterday’s Tomorrow,” answered the Challenge’s theme of “What Will Come” with some clever twists and an alternate history that considered post-WWII Britain with 24th-century Federation technology. 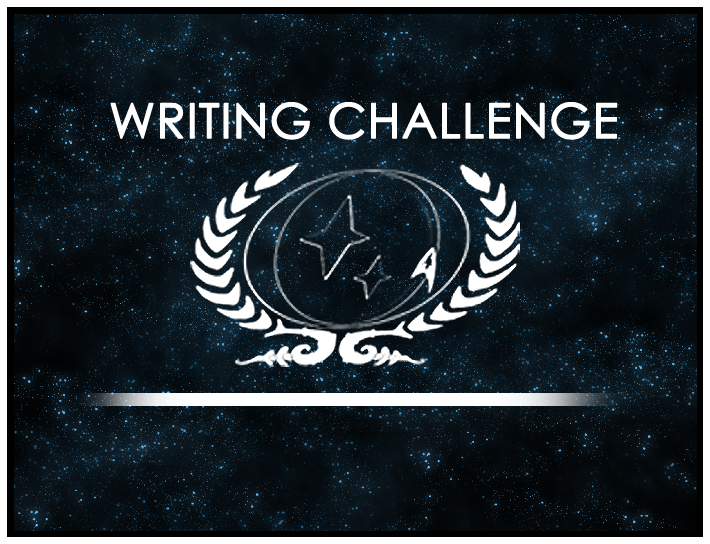 Meanwhile, Sarah, the writer behind Saveron, achieved the runner-up position for this contest with her story “Diplomatic Impunity, or ‘The Tribble with Troubles. '” This cleverly-titled story takes a xenosociologist with a compulsion for fancy, purebred tribble to a new level, one that you’ll have to read for yourself to discover fully! Be sure to offer both writers your congratulations in the responses thread! The next Challenge, the last of 2013, is already open; in it, Chris asks you to consider “Treason & Plot” for this decidedly unorthodox holiday theme. But, hey, shouldn’t Guy Fawkes Day get its due, too?